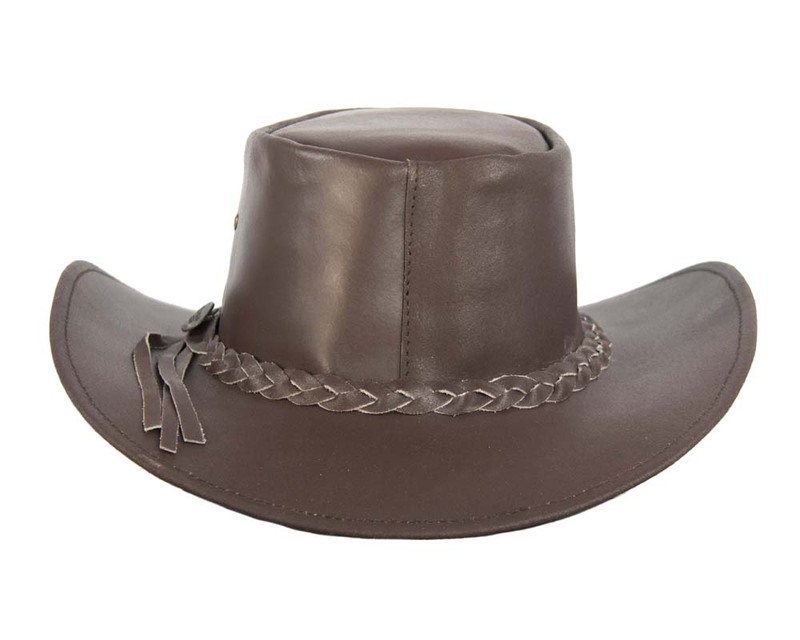 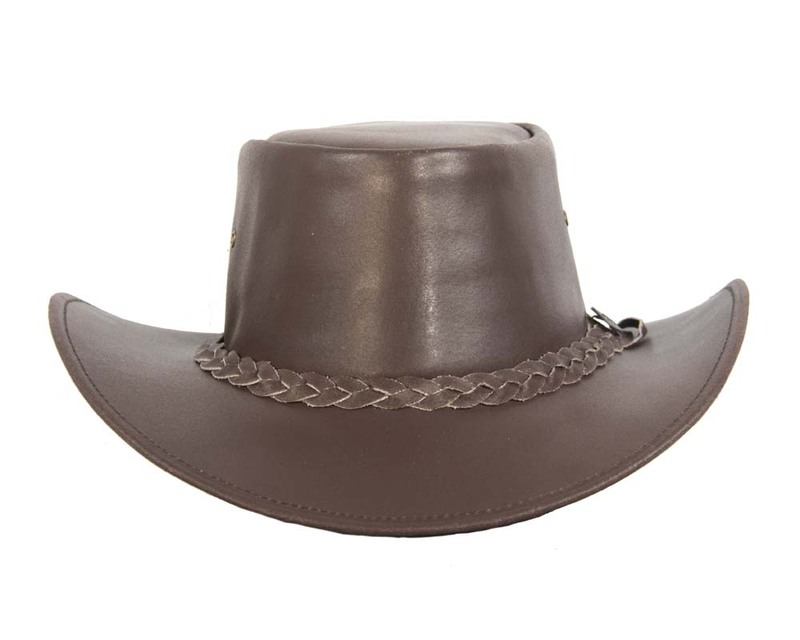 This brown hat is made in Australia from high quality real buffalo leather. 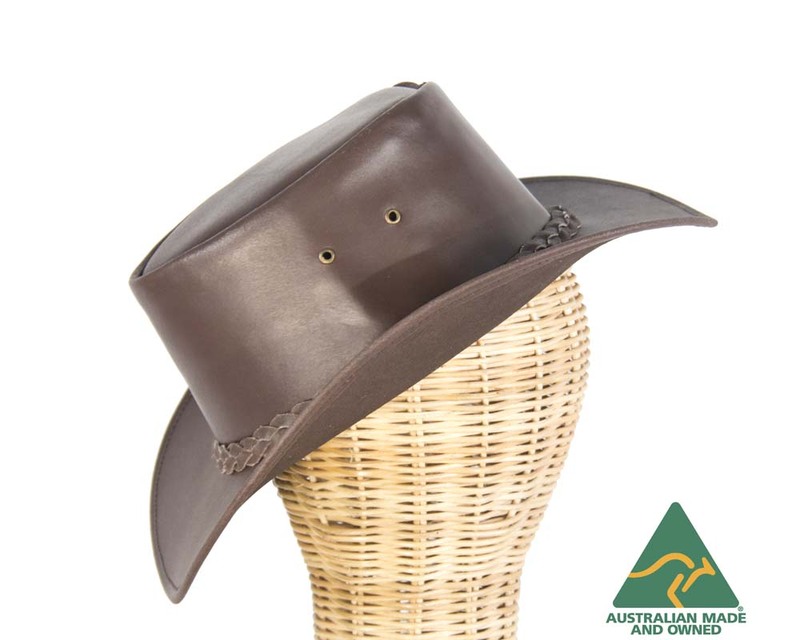 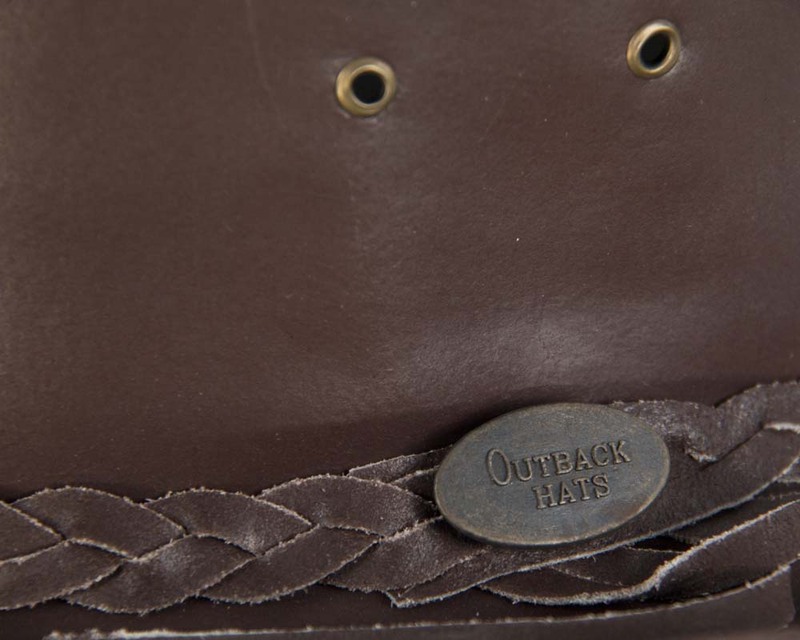 It features classic Australian outback bush hat and is foldable for travel. 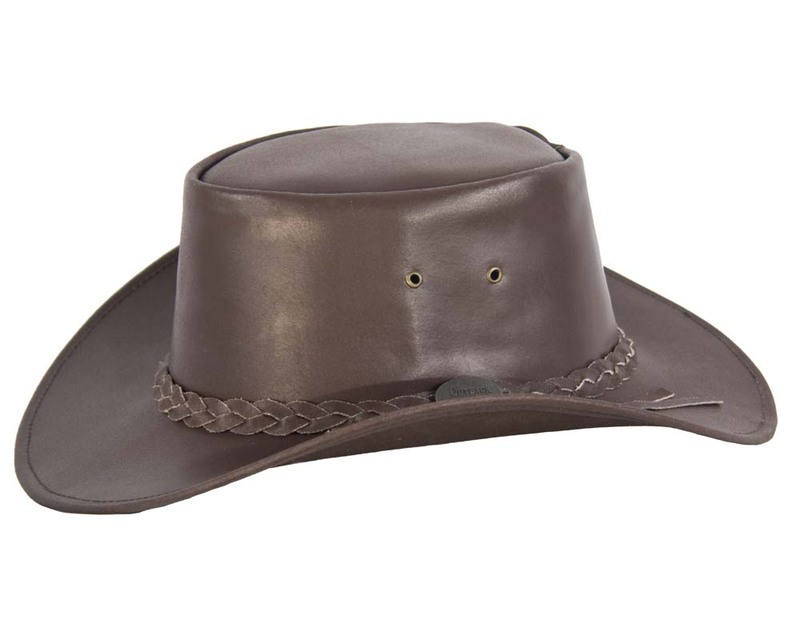 Hat is water resistant.